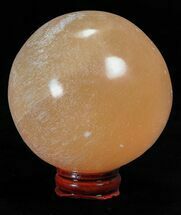 These are small polished spheres made from selenite. 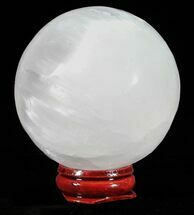 Selenite crystals are white in color and show obvious crystalline structure. 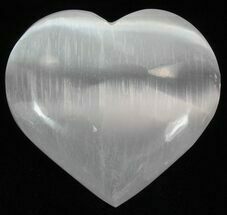 Selenite is one of four varieties of the mineral gypsum. 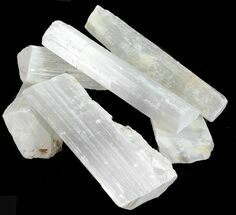 Interestingly, gypsum occurs on every continent in the world, and is the most common of all the sulfate minerals.